I truly hate the last day of the season. For many it is a time to celebrate, but being a West Ham and now a Lewes fan, the end of season is normally a time to reflect on a relegation season rather than winning anything (Play off final at Wembley last year accepted). But to me, after planning my games with military precision for the past nine months I have nothing to look forward to. 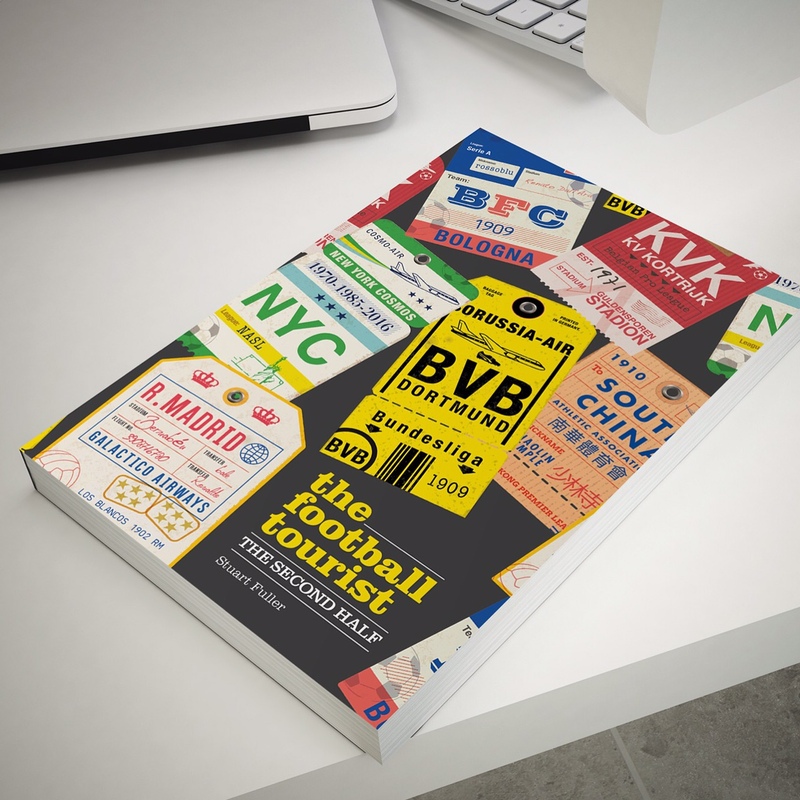 What will I do next weekend (OK, apart from going to the FA Vase and Blue Square Bet Premier Play off Finals…and a few games in the Summer European leagues…and then pre-season starts in late June…but apart from that)? Or in June when the sun is shining? Cricket? Rugby League? Gulp, family days out at the seaside? Once the last ball has been kicked I will be counting down the days until clubs start to announce pre-season fixtures. My objective of a 100-game season may fall just short this season but I will be back next season, fitter, stronger and willing to travel to even more obscure places to see a game. But hang on, this season still wasn’t quite over yet. The sword of relegation was still hanging over The Dripping Pan. With just one game to go, there was still one spot in the relegation zone left to be decided and Lewes were technically still a “relegation contender”. Granted it would have to take an extraordinary set of results to see that happen, but I look at the fact Titus Bramble is still a Premier League football to prove that football is a funny game and anything can happen. So for those unaware of the current situation, or my visiting colleague from the New York office, here was the low down. In order for Lewes to be relegated (a concept that would take a few thousand words to explain to any US sports fan) we had to a) lose to Bury Town, b) see Carshalton Athletic win away at Enfield Town, and c) see a seven goal swing to Carshalton Athletic. Possible? Yes. Probable? Even with our poor performances this season, we hadn’t been thumped by anyone this season (well, apart from the 6-1 defeat to Wealdstone). So this wouldn’t be an end of season party, rather a slightly nervous 90 minutes, looking at our phones at events from North London. Come match day and the traditional end of season sunshine had appeared from behind the rain. The pitch looked fantastic, just two weeks after the game against Leiston which should have been abandoned. Ironically this was to be Roger, the groundsman’s, last game in charge of the turf after what seemed a lifetime. Never a more loyal and passionate fan you could want to meet and it is volunteers like Roger (or Boysie who was stepping down as programme editor) that keep non league football alive. Thankfully Roger’s departure will mean we can play some decent pre-match music, especially as Ed Ramsden is still serving his three year ban from the PA system after trying to slip on one too many Fall songs earlier in the season (the actual number was of course one). So next season there will be a new man on the seat of the lawnmower and in the editor’s chair for the programme. Who they will be is yet to be revealed, although I have a pretty good idea who the latter will be (The Pan is Round is a catchy title, no?). The bumper crowd were showing no nerves as they tucked into the Harvey’s. In fact this had the optimistic feel of a first game of the season, rather than the last. Bury Town arrived in Lewes with nothing but some pride to play for, knowing that they had once again shown the league they were not to be underestimated. Whilst not quite making a second successive play off spot (they beat us to 5th place last season by just 2 points), they have once again been there or there abouts in a tougher league. Luge and Andy were certainly enjoying their afternoon, tucking into the Harvey’s to go along with the various fizzy pop beers they had sampled on the train on the way down. This was all new to Andy, being a native New Yorker and used to his sport featuring no meritocracy, a franchise-based system, cheerleaders and breaks in play every 3 1/2 minutes. He’d been to a “soccer” game before, back in November 2009 when he was last in the UK and we took him to see Millwall, but that can hardly be called football can it? Little did the two know that they were also Match Sponsors and thus had to choose the player of the game. Andy was in his element as he pulled out his calculator to start working out the shots/tackles/passing averages for each player, finally looking disappointed when we said we just give it to Nathan Crabb every week to save the hassle. As the game entered injury time the packed Philcox Terrace broke into song. “We are staying up, I said we are staying up”. A draw here, coupled with Carshalton’s draw at Enfield Town meant Premier League football was secure for another season. Or was it? A rumour went around the stand that the ever reliable NonLeagueLive.com website was wrong, and Carshalton were actually winning. And then Bury Town scored. All of a sudden it was down to goal difference. How many were the Robins winning by? Was there time for Bury to score one, two or even three more than would have relegated us? Thankfully no. The referee brought proceedings to an end. We were safe. Let the party start. Should we really have been so happy though? We certainly didn’t anticipate a relegation fight at the start of the season, especially on the budget we set. We were massively hampered by injuries to Steve Robinson, Callum Dunne and Jack Walder in the spine of the team, and it took Nathan Crabb some months in the middle of the season to find his shooting boots. We drew and lost too many games, always seeming to be one goal away from a point or all three. We started this game similar to the one on Tuesday night at Cray. Full of midfield invention but nothing reaching the front two. We should have been one up and playing ten men if it wasn’t for a linesman who nobody really understood what game he was watching. Lewes were awarded a penalty only for him to rule the ball had gone out of play when nobody else had seen it (including the defender tracking back) and then he failed to see a punch on Ben Godfrey right in front of him. In between those two events, Bury had taken the lead when, perfectly summed up by Deaksy, a hopeful toe poke found the top corner. One became two from the penalty spot soon after as Bury scored from the penalty spot. It appeared they hadn’t read the script. Again, just like Cray, Lewes came out for the second period all guns blazing. A text-book header from Steve Brinkhurst in the first few minutes of the half raised the spirits in the ground, and when Callum Dunne got some part of his body to a Crabb effort on goal and diverted it into the net there was a genuine feeling we would go onto win the game. Chris Breach then took a very painful whack to the nose, soon leaving the pitch with blood pouring from the wound, only to appear minutes later with a bandage around the centre of his face. We didn’t laugh, honestly, and neither did any of his team mates. So the final act of the season was Bury’s Sands scoring in injury time. And then it was all over. Time for the end of season awards. No surprises that Nathan Crabb picked up a couple and Chris Breach the Player of the Year. It was disappointing though that Jack Walder didn’t pick up one for worst dressed player, choosing to join in the end of season squad photo trying to look like Olly Murs. For the players it was time for a night out. Club Sec Kev had put on his best cardigan for the occasion and would ensure that they stayed on the straight and narrow, handing out fines along the way for bad behaviour. For the officials at the club the long process of planning for next season was already under way. Non league grounds like the Dripping Pan do not clean, paint or repair themselves and so we need to sort this out, along with the pre-season friendlies, the commercial contracts and of course the all important budget. 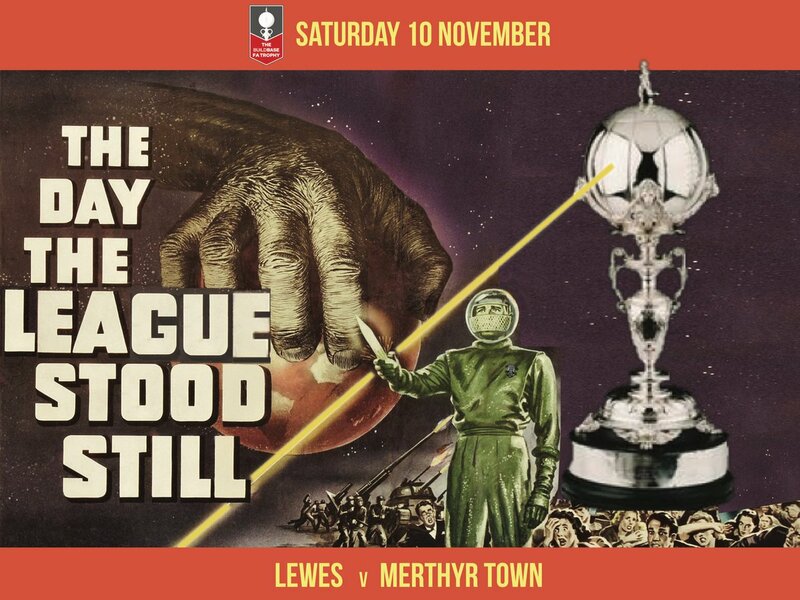 This entry was posted in Lewes FC, Non league football, Rymans Premier and tagged Bury Town, Lewes, Ryman Premier League. Bookmark the permalink.